A variety of parks, facades, historical buildings and modern structures are interspersed throughout the studio lot and provide diverse and interesting backdrops for special events, production offices, editorial suites, food services and other campus-like amenities. 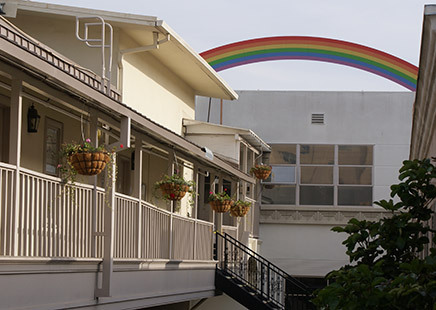 The studio lot offers a range of production offices, art department spaces, conference rooms and dressing areas for short- and long-term rental to film, television and commercial projects. Standard office furniture, basic utilities, and light janitorial services are all included in your weekly rental fees. All offices have high speed internet service and fiber optic connectivity capabilities. 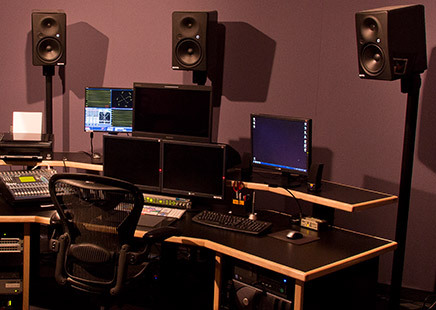 With hundreds of spaces in eight buildings, the studio offers a large selection of editorial suite options ranging in size from small and efficient to extra-large and spacious. All rooms can be equipped with high speed data connectivity and local area networking. 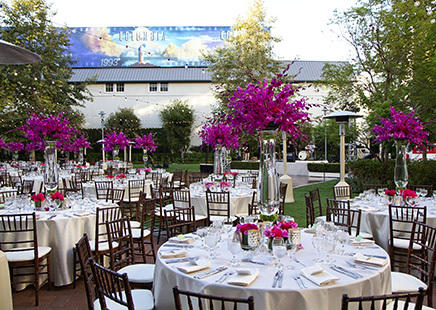 Sony Pictures Studios is a historic movie lot with premier event space to make your function come to life with a touch of Hollywood magic! From the elegant to the iconic, Sony Pictures Studios has the perfect setting for almost any party, meeting, or blockbuster event. Space includes the historic Rita Hayworth Dining Room, gorgeous Calley Park, chic 9th and Main, small-town streets where TV and movies are shot, and the commissary where the stars wine and dine. A dynamic catering and events team will help with planning your event while bringing a creative flair to make your occasion one to remember. For more information, contact Nicole Leonetti, Wolfgang Puck Catering’s Director of Catering at (310) 244-3044 or Pam Byrne, Vice President Studio Services, at (310) 244-4456. 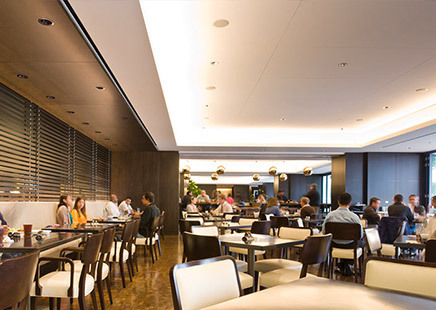 The studio offers a wide range of food choices, including private catering, table service, and fast-and-easy options. 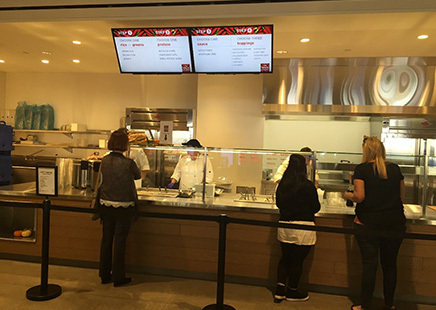 Two self-service venues collectively provide a diverse range of menu items including gourmet pizzas, seasonal hot entrees, fresh wok, poke bar and sandwich selections, house-made soups, expansive salad bars and more. Self-service market café with fresh products for snacks and meals available seven days a week, 24 hours a day. 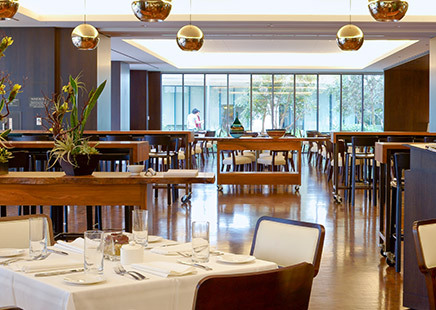 Table service and private dining room menus include locally sourced, seasonal recipes from Wolfgang Puck. Coffee drinks, pastries, light snacks and frozen yogurt are available at our on-lot Coffee Bean & Tea Leaf, Morita coffee bar featuring Stumptown coffee and Yogurtland locations. The Commissary offers self-serve and full service in a beautiful patio dining room overlooking the park outside Harry Cohn. 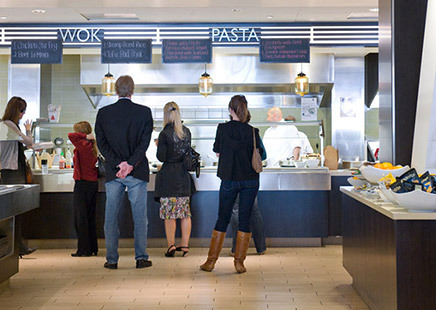 Enjoy fresh wok, a salad bar, deli sandwiches, pizzas, hot entrees and more. Table service dining is offered adjacent to the Commissary with patio seating and private dining rooms available. Chef Denis Soriano updates our menu seasonally, featuring signature Wolfgang Puck recipes, local ingredients, and sophisticated presentations. The Commissary located on the west side of the lot, offers highest quality poke, Mexican Tacos, Fresh salad bar, hot entrees and more. Morita Coffee Bar proudly features Stumptown coffee. Stumptown roasts their beans daily downtown in the LA Arts District providing the freshest, high-quality coffee. 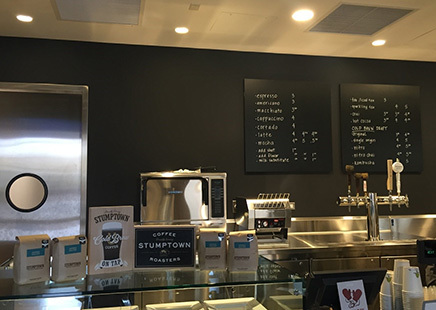 In addition to a full line of made-to-order espresso drinks, the coffee bar features ready-to-eat breakfast items, pastries, teas as well as Stumptown's special cold brew coffee and kombucha on draft. Located in the heart of Main Street, Avenue C at The Gower Café is a new self-service market café with fresh products for snacks and meals available seven days a week, 24 hours a day. Items include a selection of sandwiches, salads, microwavable meals, and various sundries. 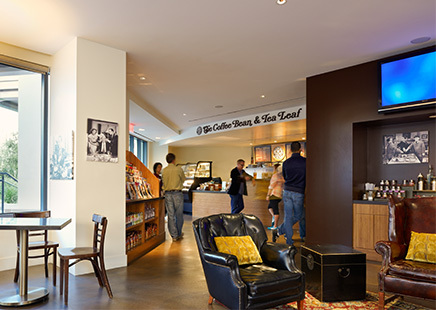 The Coffee Bean & Tea Leaf is located at 4th and Main Street within the Harry Cohn building on the Sony Pictures Studio lot. Enjoy your favorite coffee and tea drinks, muffins, bagels, sandwiches or salads to go. 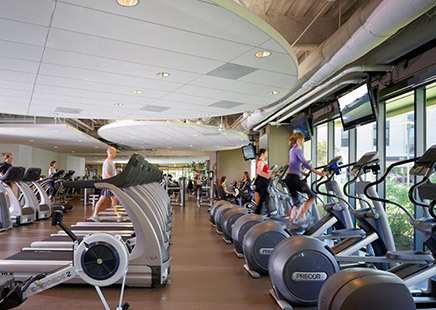 The Sony Pictures Athletic Club provides a wide array of fitness options and services. The facility features locker rooms and showers, an outdoor weight area, a fitness studio and a multi-use basketball/volleyball court. Equipment includes an assortment circuit and functional resistance training machines, cardiovascular equipment including treadmills, elliptical trainers and bikes, and core strength and flexibility accessories and machines. Additional programs include Fitness Classes, Fitness Events, Sports Events, Sports Leagues and Tournaments, and Wellness Events. Staffed with nationally certified personal trainers, role specific training is available for talent. Facility and equipment rental can also be arranged. Call for rates. 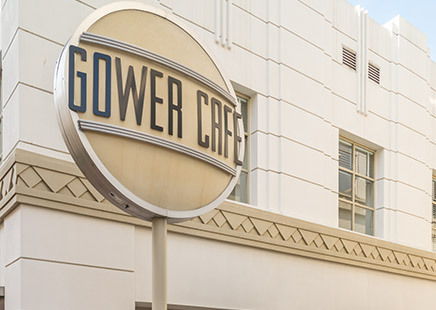 Located on Main Street of the Sony Pictures Studios lot with an additional location in the lobby of the Jimmy Stewart building. 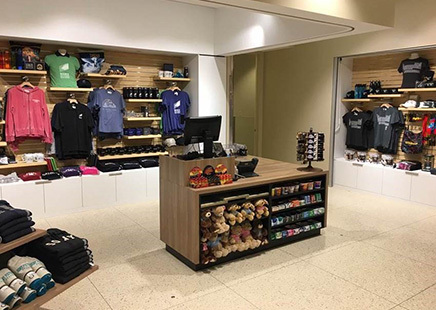 The Studio Stores carries a wide variety of employee-exclusive items, including film, television and corporate apparel and gifts, along with a wide selection of convenience items. Sony Pictures Home Entertainment releases are available on Blu-ray and DVD at reduced pricing with valid SPE ID. A selection of Sony Music Entertainment including CDs, DVDs, and Blu-Ray discs, is also available at reduced pricing.